If you’re heading to Camp Perry this summer, the NRA has downloadable resources that should come in handy. The 2012 National Matches Information Guides (digital editions) include all the essential information for the National Matches. There are three separate digital Info Guides, one each for High Power Rifle, Smallbore Rifle, and Pistol Matches. The Info Guides feature a map of Camp Perry, championship calendar, and schedules for important events. The guidebooks also includes ads from local businesses in Port Clinton, Ohio with information on restaurants, lodging, and more. There are special promotions and discounts for Camp Perry competitors. The 56-page High Power Guide, the “Official High Power Program”, is embedded below. Click right/left arrows to navigate from page to page. CLICK HERE to launch reader in new window. The 2012 National Matches Information Guides also include directories of Match sponsors, many of whom are on vendor row. 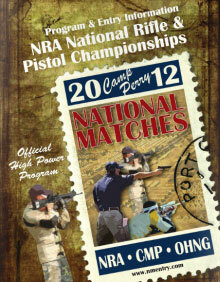 Check out all three of the digital Info Guides to see what’s happening at Camp Perry at the 2012 National Rifle and Pistol Matches. 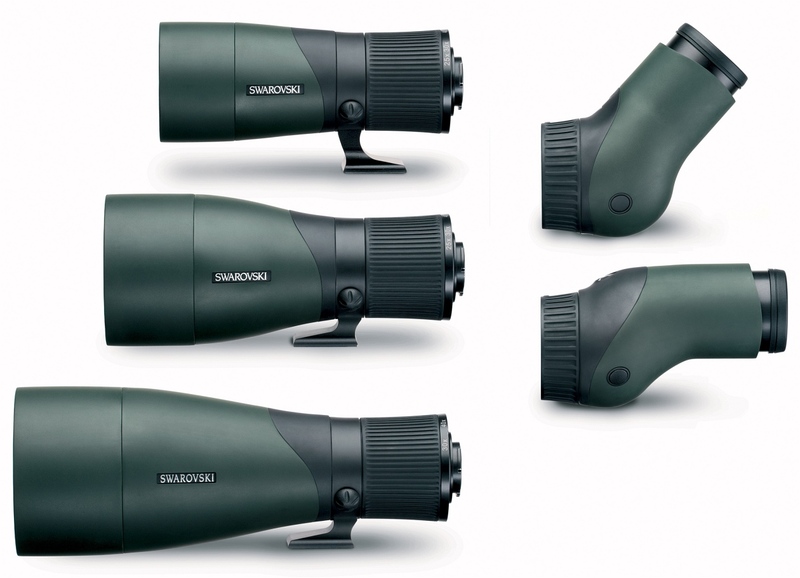 Share the post "Check Out Free Camp Perry National Matches Info Guides"
Swarovski has just announced a truly revolutionary spotting scope system. Imagine a “normal” spotting scope sliced in half, with separate objective (front) units and separate eyepiece (rear) units. This way you can have both straight and angled viewing options, and you can select from three (3) different objectives (65mm, 85mm, 95mm), depending on the light-gathering and max magnification you need for the job (and the weight you’re willing to carry). 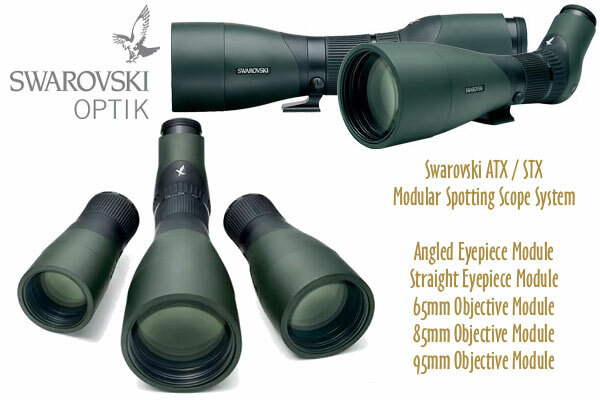 The new Swarovski Optik ATX/STX Modular Spotting Scope combines a straight (#49902) or angled (#49901) rear eyepiece module with any one of three front objective sections, the largest of which is a whopping 95mm. All three available objectives have coated HD lenses for high contrast, low chromatic aberration, and optimal light transmission. These lenses are bright, with excellent color fidelity. Both eyepiece modules have extended-eye-relief ocular lenses, with a “field-flattener” lens design that provides high contrast and correct geometry all the way out to the edge of the image. 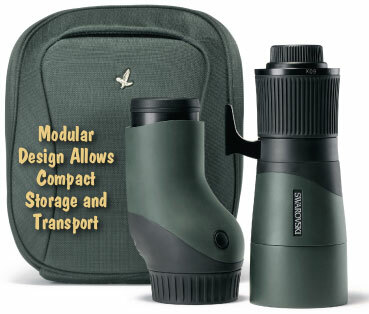 The eyepiece modules deliver either 25-60X or 30-70X power depending on front module. NOTE: The eyepieces are built into the rear modules — they are non-removable and you can’t swap in a third-party eyepiece. However, digiscoping adapter can also be fitted in the rear. With front and rear modules joined, the zooming and focusing rings are located right next to each other. This allows you to zoom quickly, and then easily fine-tune the focus without moving your hand. Centralizing both controls is smart because you don’t have to take your head away from the eyepiece to look for one control or the other. Your hand can stay in one position. 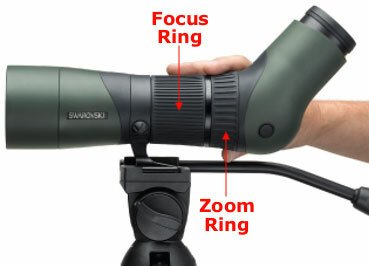 We’ve always liked the large-diameter focus rings on Swarovski spotting scopes. Now, with the new modular Swarovski system, you get the advantage of a large-diameter, centralized zoom control as well. As you might expect, the Swarovski ATX/STX system commands a premium price. Either angled or straight eyepiece module is $2179.00 at EuroOptic.com. The 65mm front objective module is $879.00, but you’ll pay $1599.00 for the 85mm objective module. The biggest 95mm objective module costs $1899.00. So, for an angled rear module plus the jumbo 95mm objective, you’re looking at $4078.00 total. If you want BOTH rear modules AND the 95mm objective, you’ll need to pony up $6257.00! That’s got to be some kind of record for consumer spotting scopes. The minimum you can spend (for one rear module and 65mm objective), will be $3058.00, which is still pretty pricey. There are some significant advantages to this modular system though. For example, transport and storage is simplified, and we like the ability to choose the objective size based on the “mission”. You don’t need a 95mm objective to see bullet holes at 100 yards. But at long range, a bigger objective can be very useful. 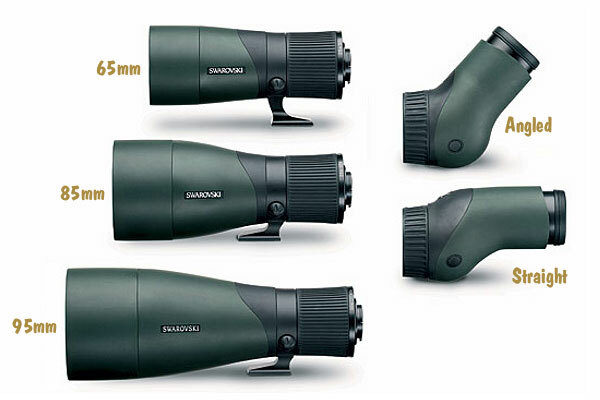 Share the post "New Modular Swarovski Spotting Scope: 65mm, 85mm, 95mm"